REED, Thomas Brackett, a Representative from Maine; born in Portland, Cumberland County, Maine, October 18, 1839; attended the public schools; was graduated from Bowdoin College, Brunswick, Maine, in 1860; studied law; acting assistant paymaster, United States Navy, from April 19, 1864, to November 4, 1865; was admitted to the bar in 1865 and commenced practice in Portland, Maine; member of the State house of representatives in 1868 and 1869; served in the State senate in 1870; attorney general of Maine 1870-1872; city solicitor of Portland 1874-1877; elected as a Republican to the Forty-fifth and to the eleven succeeding Congresses and served from March 4, 1877, to September 4, 1899, when he resigned; chairman, Committee on the Judiciary (Forty-seventh Congress), Committee on Rules (Fifty-first, Fifty-fourth, and Fifty-fifth Congresses); Speaker of the House of Representatives (Fifty-first, Fifty-fourth, and Fifty-fifth Congresses); moved to New York City and engaged in the practice of his profession; died in Washington, D.C., on December 7, 1902; interment in Evergreen Cemetery, Portland, Maine. Papers: ca. 1869-1978, 0.5 linear foot. The collection consists of correspondence, essays, manuscripts, articles and clippings about Thomas Brackett Reed and his policies. Additionally, there is a set of microfiche, prepared in 1974 from an extensive collection of Thomas Brackett Reed material retained by the Reed family, containing speeches, diaries, manuscripts, and letters. A finding aid for the papers is available in the repository and online. Papers: 1898, 2 items. The items include a letter from Thomas Brackett Reed to Louis T. DeRousse written on April 7, 1898. Louis T. DeRousse was postmaster of Camden, N.J., and a former assemblyman in the New Jersey Legislature. A photograph of Thomas Brackett Reed accompanied the letter. Microfilm: In the Hannibal Hamlin Papers, 1828-1892, 4 positive reels and 9 print master reels. Correspondents include Thomas B. Reed. The original documents are in the University of Maine, Raymond H. Fogler Library. Papers: In the Anna W. Wright Collection, 1855-1911, 0.75 linear foot. Correspondents include Thomas Brackett Reed. Papers: In the Newspaper clippings related to the dedication of the Thomas Brackett Reed Statue, August 31, 1910, 0.25 linear foot. Mostly photocopies of newspaper cuttings. Also includes:printed materials such as public statements, an address/oration by Thomas Brackett Reed, an executrix's notice, and information about his funeral. Papers: In the Nathan Webb Papers, 1799-1902, 8 linear feet. Correspondents include Thomas Brackett Reed. A finding aid for the papers is available in the repository. Papers: In the W. J. Arkell Papers, 1881-1894, 39 items. Correspondents include Thomas Brackett Reed. An unpublished finding aid for the papers is available in the repository. Papers: In the Levi P. Morton Papers, 1860-1912. 0.5 linear foot. Subjects covered in the papers include Thomas Brackett Reed. An unpublished finding aid for the papers is available in the repository. Papers: 1892, 2 items. These 2 items consist of correspondence between Thomas Brackett Reed to William D. Murphy. The letter written by William D. Murphy, on March 10, 1891, requests Thomas B. Reed for his autograph. The letter from Thomas Brackett Reed to William D. Murphy, on March 11, 1891, grants William Murphy's request. Papers: 1902, 1 item. A letter from Thomas Brackett Reed to A. A. Lipscomb written on November 21, 1902. In the letter, Thomas Brackett Reed declines to consider the office of vice president for the state of Maine. The letter is tipped into: Autobiography of Seventy Years, by George F. Hoar, call # alc Ms1337, and faces p.110, v. 2. Papers: 1890, 1 item. A letter from Thomas B. Reed to E.F. Waters written on October 4, 1890. In the letter, Thomas B. Reed writes concerning his political philosophy. Papers: 1900, 1 item. A letter from Thomas B. Reed to Samuel [Gibson] Dixon written on February 6, 1900. In the letter, Thomas B. Reed discusses his decision. Papers: 1880-1902, 10 items. The papers include a letter from Thomas Brackett Reed to Charles S. Fairchild concerning a speech by Col. R. Ingersoll; Thomas Brackett Reed's opinion on the political chances of the repeal [of the Sherman Silver Purchase Act]; Thomas Brackett's hope that Fairchild has not suffered a financial loss over an unidentified matter and will have a good time abroad; a letter from Fairchild's sister to Thomas Brackett Reed; some "goods in bottles" forClarence King; and his thanks for Miss Elliott's book whosetitle story "presents the lynching problem in a powerful way." With these is a brief letter of thanks to Sally Fairchild. Reed writes to S.S. McClure refusing to write an article unless at Blaine's request, or to have one written about him for political reasons.With the letters are a newsclipping and a magazine article regarding Reed. Papers: In the Frank Parsons Papers, 1888-1908, 4 linear feet. Subjects covered in the papers include Thomas Brackett Reed. An unpublished finding aid is available in the repository. Papers: In the Thomas Collier Platt Papers, 1851-1915, 5.25 linear feet. Subjects covered in the papers include Thomas Brackett Reed. An unpublished finding aid is available in the repository. Papers: In the S. Wells Williams Papers, 1824-1936, 11.5 linear feet. Correspondents include Thomas Brackett Reed. An unpublished finding aid for the papers is available in the repository. Beisner, Robert L. "That Fat, Sarcastic Man." In Twelve Against Empire: The Anti-Imperialists, 1898-1900, pp. 203-11. New York: McGraw-Hill Book Company, 1968. Grant, James. Mr. Speaker! : The Life and Times of Thomas B. Reed, The Man Who Broke the Filibuster. New York: Simon & Schuster, 2011. Maine. Legislature. Memorial Addresses on the Life and Character of Thomas Brackett Reed delivered in joint assembly of the two branches of the Legislature, Wednesday, January 28, 1903. Augusta, Maine: Kennebec Journal print, 1903. McCall, Samuel Walker. The Life of Thomas Brackett Reed. 1914. Reprint, New York: AMS Press, 1972. ___. Thomas Brackett Reed, Address by Hon. Samuel W. McCall, upon the unveiling of the monument of Hon. Thomas Brackett Reed at Portland, Me., August 31, 1910. Washington: Government Printing Office, 1911. 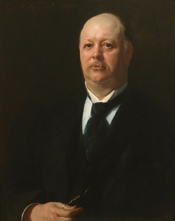 Offenberg, Richard S. "The Political Career of Thomas Brackett Reed." Ph.D. diss., New York University, 1963. Reed, Thomas Brackett. Address of Hon. Thomas B. Reed. Portland, Maine: S. Berry, printer, 1884. ___. "Hon. T.B. Reed's Oration." In John T. Hull, ed., An Account of the Municipal Celebration of the One Hundredth Anniversary of the Incorporation of the Town of Portland, July 4th, 5th and 6th, 1886, pp. 278-99. Portland, Maine: Printed by Owen, Strout and Company, 1886. ___. Orations and addresses delivered by Thomas Brackett Reed. Portland, Maine: Privately printed, 1911. ___. Reed's Rules. A Manual of General Parliamentary Law, with Notes of Changes made by the House of Representatives, and suggestions for Special Rules. Chicago: Rand, McNally and Company, 1899. ___. "Reforms Needed in the House." North American Review 150 (May 1890): 537-46. ___. "Should the Cabinet Officers Have Seats in Congress?" The Illustrated American 22 (31 July 1897): 137-38. ___. Speeches of Hon. Thomas B. Reed, of Maine, on protection, and Hon. Roger Q. Mills, of Texas, and Sen. Geo. G. Vest, of Missouri, on free trade, also the platforms and candidates of the Democratic, Republican, Prohibition and the Union and United Labor parties. New York: M. J. Ivers and Company, 1888. ___. "Two Congresses Contrasted." North American Review 155 (August 1892): 227-36. Robinson, William Alexander. Thomas Brackett Reed: Parliamentarian. New York: Dodd Mead and Company, 1930. Stein, Douglas L. "Thomas B. Reed and the Republican Party, 1890-1898." M. A. thesis, Illinois State University, 1972. Thomas Brackett Reed Memorial Association. Exercises at the unveiling of the statue of Thomas Brackett Reed. Portland, Maine: Stephen Berry Company, printers, 1911 [?]. Tuchman, Barbara. "End of a Dream." In The Proud Tower, pp. 134-94. New York: Bantam Books, 1966.